Have you ever worked hard for your dreams? In Piece of My Heart Marisol knows that her dream is to be a singer. I found Piece of My Heart captivating. I read it in a couple of days (I attend a Miranda Lambert concert on Saturday and didn’t read at all that day). Being 17 Marisol is a little naïve when it comes to some things, but she is also mature in other ways. In the synopsis is says that she is still in high school. It starts off right before graduation, but graduation is really the only mention of school. It’s the summer after graduating, a bit before she turns 18. I really like that the story lets the main character learn some life lessons. Not everything can be learned at school. The timeline of Piece of My Heart is really good. There’s just enough happening. I am happy there was enough action that it wasn’t boring, and there wasn’t too much to make it seem as if the author was trying too hard. 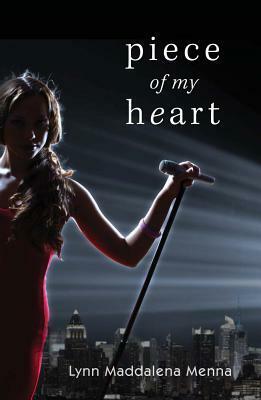 The beautiful cover is perfect for Piece of My Heart. I think it goes great, and love the dress! Dreams, friendship, fame……how will Marisol balance what she wants? You can also enter to WIN a copy HERE. The giveaway ends July 13th. Be sure to hurry and enter!